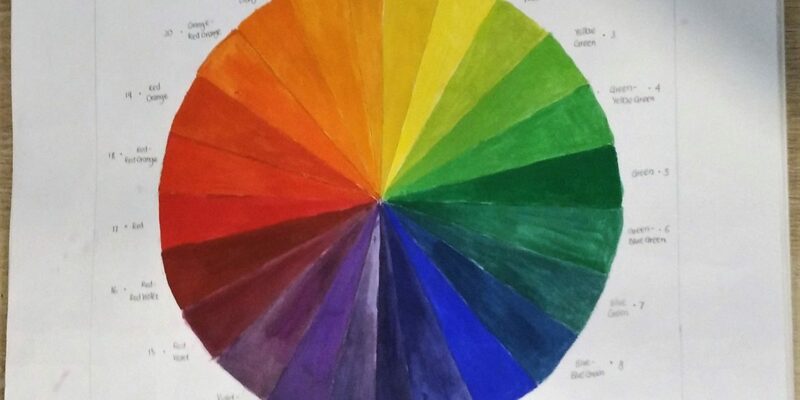 Have you learned colours using a colour wheel before? Did u pay attention to every colour? 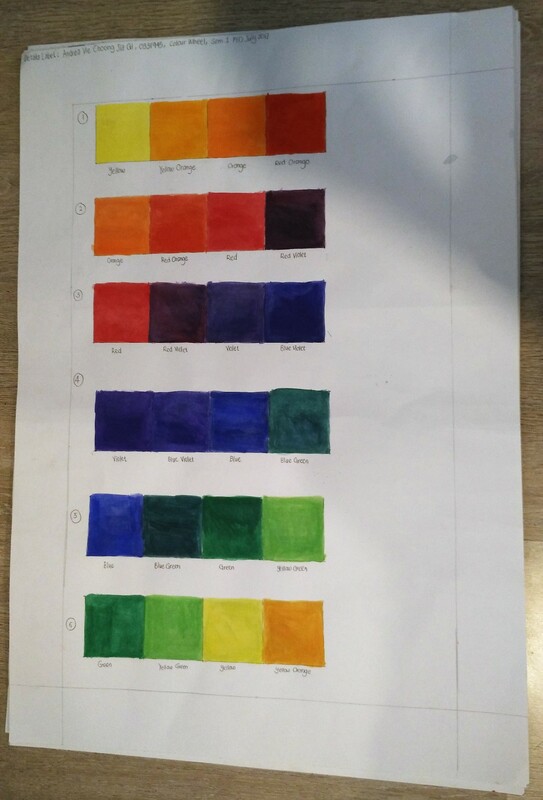 I did not pay attention to the colours properly but this assignment helps me to see colours in a different way. During my high school, I could remember the primary and secondary colours that I learned before. Now I have learned the tertiary colours as well as the advanced colours that I have never heard before. 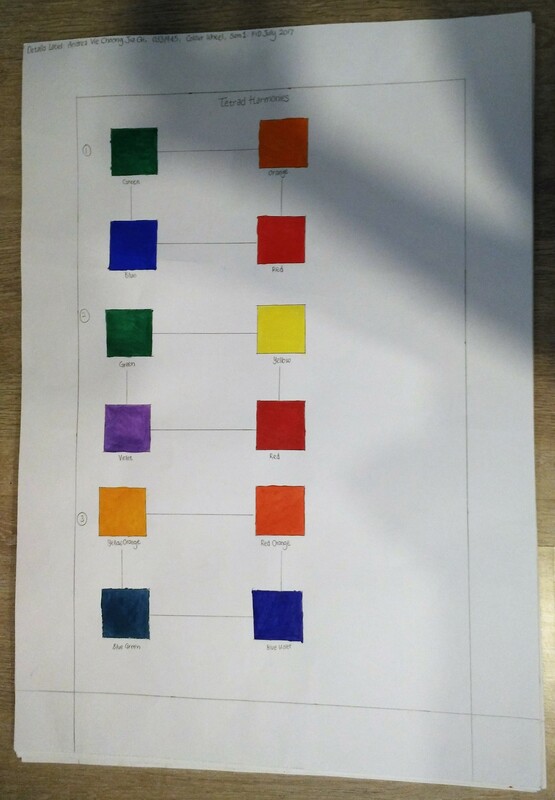 This assignment taught me more about colours and how to differentiate each colour. 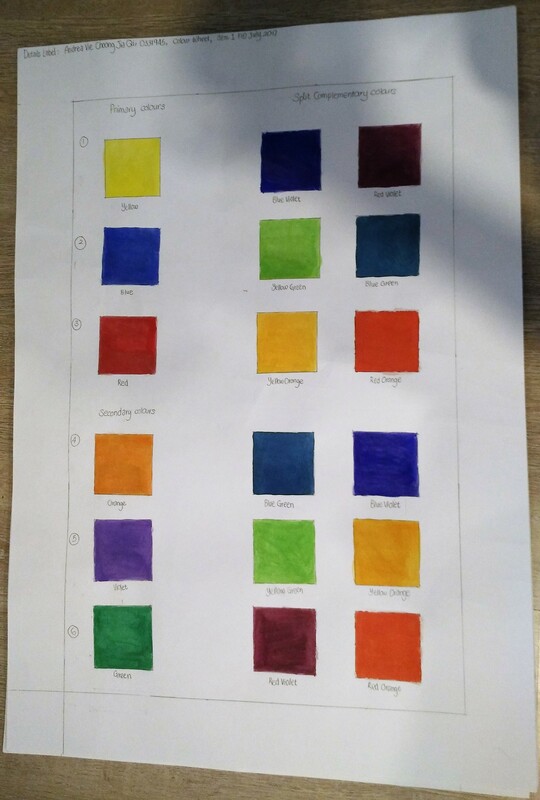 This assignment, the colour wheel I decided to use poster paint. I felt that it was a much easier medium when it comes to mixing colours together. 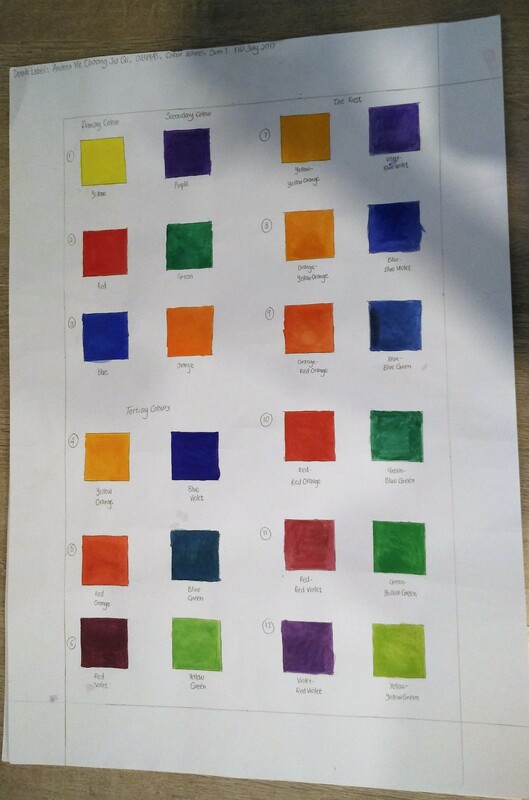 I did a 24 colour wheel to clarify each colour and its name. Then, I went on painting the analogous colours. Analogous colours are colours in between two primary colours. They can be either colours in the clockwise or anti-clockwise direction. 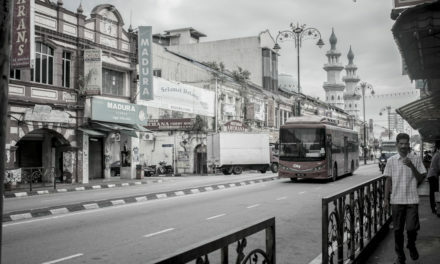 Later on, the adjacent colours from the principal colours which are known as the primary colours. I find this question difficult because of the number of complementary colours I have to find. 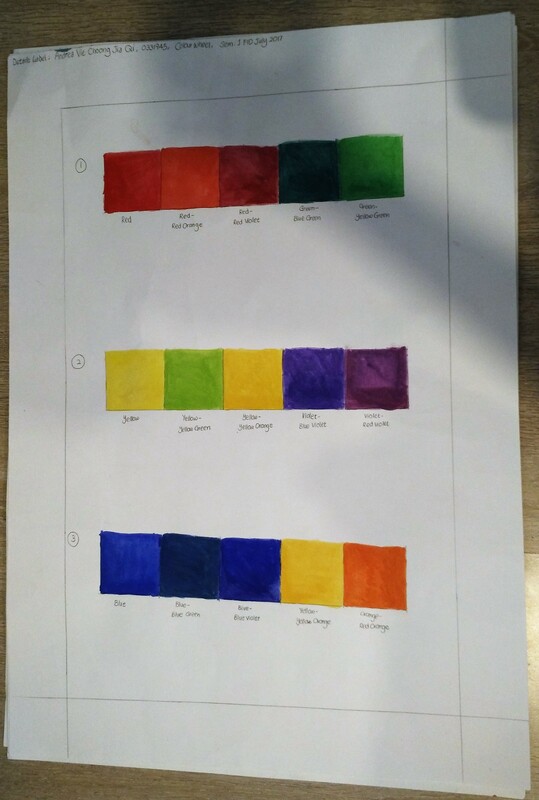 However, I managed to find the colours using the help of the colour wheel. Then the question gets even more complicated when it comes to the split complementary colours. 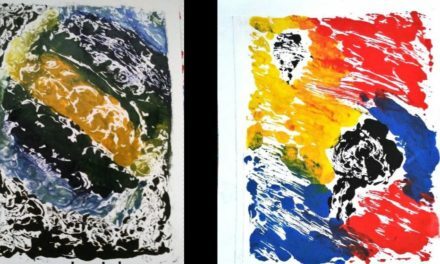 They are the colours adjacent to the complementary colours. Now the colours need to make up shapes like a triangle shape and rectangle shape. The triangle shape is called the triad colours. 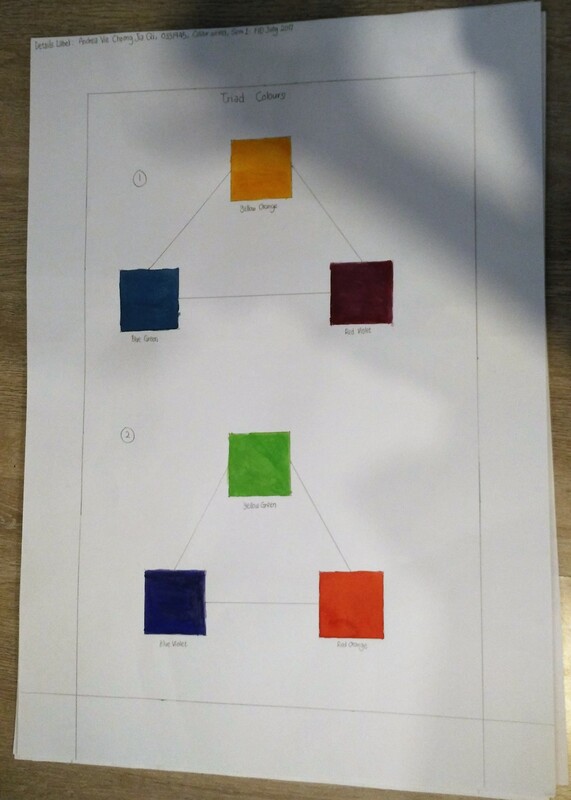 The rectangle shape is the tetrad harmonies using complementary and split complementary colours. 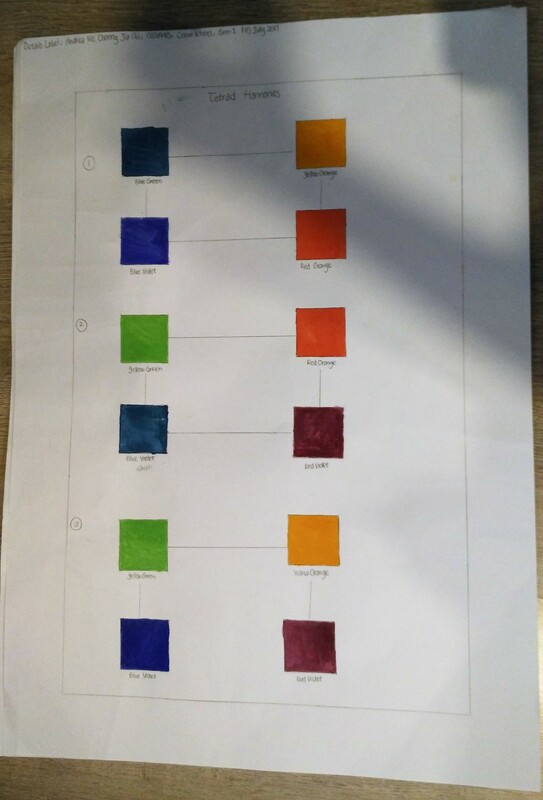 Throughout this assignment, I have learned how to analyse each colour carefully. It make me aware of the colours as I move on each question at a time.